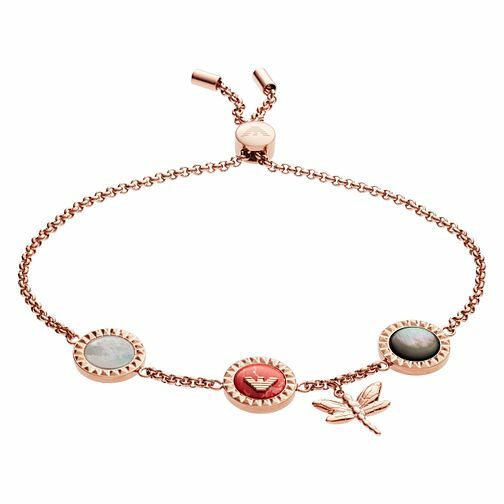 Italian fashion house Emporio Armani presents this beautiful rose gold tone bracelet, this fashion accessory is a stylish addition to your daily outfits. The incandescent motifs features an Armani logo and a delicate dragonfly charm. The adjustable fastening allows for a secure fit. Layer with other bracelets of complementary and contrasting colours, to accessorise your outfits with an extra stylish touch, or opt to wear alone for a more casual daytime look.